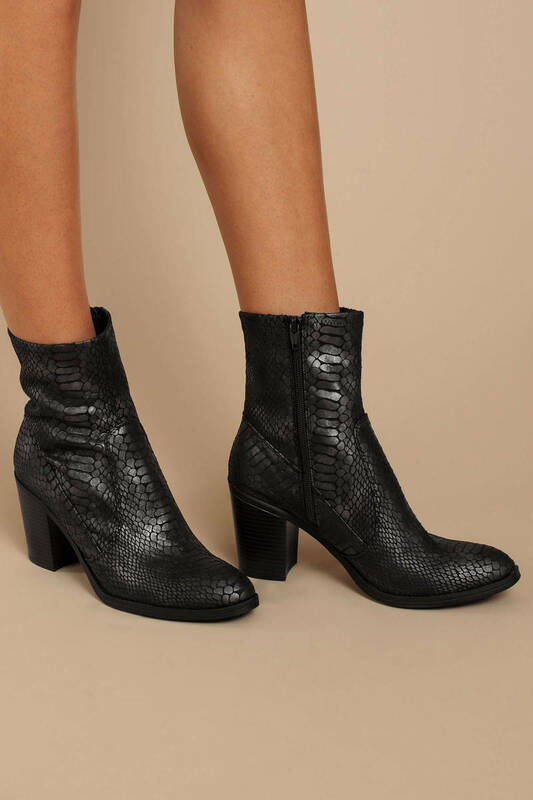 Check out Tobi's Jordan Faux Snakeskin Print Booties You're a wild thing in the Jordan Black Faux Snakeskin Print Booties. These animal print boots feature an almond toe, stacked block heel, side zipper, and gorgeous glossy snakeskin print. 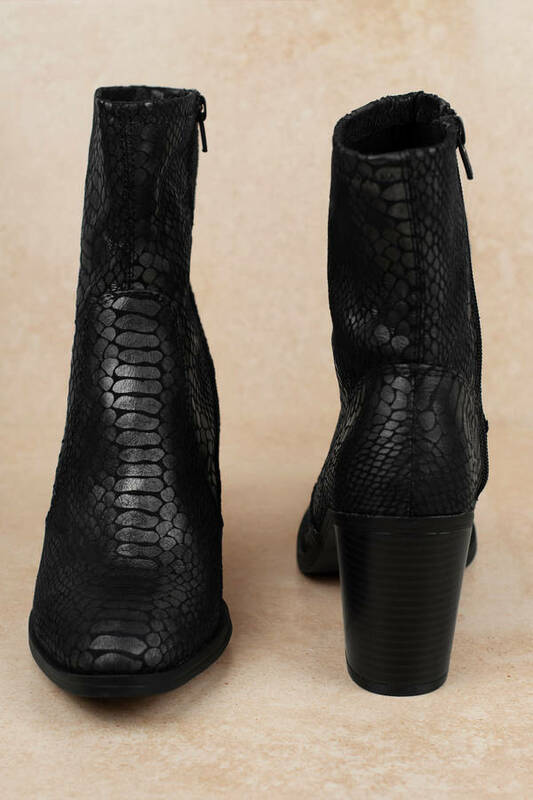 These snake print ankle boots will look great with a mini skirt and bodysuit for your next date night. 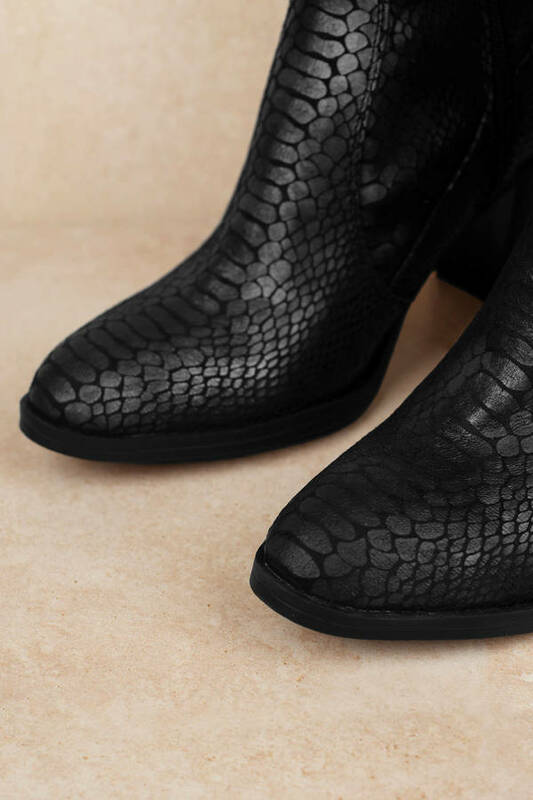 You're a wild thing in the Jordan Black Faux Snakeskin Print Booties. These animal print boots feature an almond toe, stacked block heel, side zipper, and gorgeous glossy snakeskin print. 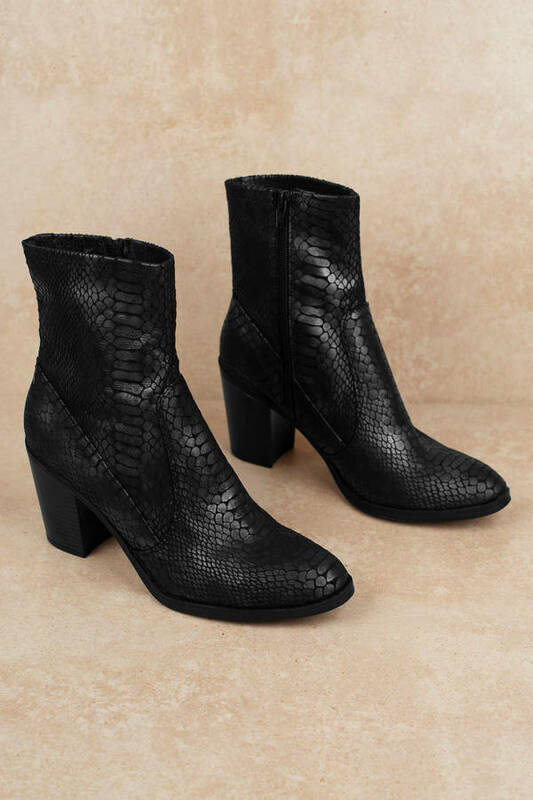 These snake print ankle boots will look great with a mini skirt and bodysuit for your next date night.